When Art Impressions released their new challenge – Perfect Pastimes”, I could think of nothing better than spending time with FRIENDS! The central image, from Art Impressions – Wine Tasters, was stamped on white card and Distress water coloured. A second image was stamped using AI Under My Umbrella Stamp Set, but only the corners required water colouring. Black photo frames from from Kaisercraft – Decorative Die- Polaroid. They were then glued across the images, to highlight the main aspects, and trimmed so it looked like a photo. A piece of designer paper was added to a larger than normal top folding card and the sentiment from AI Under My Umbrella set was stamped at the bottom. The photos are then attached to the card front. 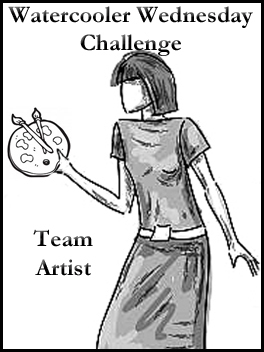 Art Impressions Challenge # Perfect Pastimes! Enjoy your favourite past times! Fabulous fun card Helen. Wish I could colour as good as you. Love these Ladies. You have to love these happy ladies! Great card! Thanks so much for playing in our ‘Frame It’ challenge at Dies R Us. Good Luck and please come back again soon! Thanks so much, Darlene! I love these stamps! Your card is just so cute and perfect for our “Perfect Pastimes” Challenge! Thanks for joining us over at Art Impressions! I thought I had commented on this one.. but must have dreamt it or maybe it was the wine lol. Fabulous card, fabulous colouring and fabulous design Helen! Great girlfriend card! Love it! Thanks so much for joining us this month at Happy Little Stampers Watercolor Challenge! Sooo cute girl friend. Love the watercolor look. What a fun card…great frame too!Thanks for joining us at Dies R Us! These stamps are so great and your coloring looks amazing! Love the clean look of this. Thanks for joining us at Time Out! I really appreciate your kind comments, Nonni! This is so fantastic and makes me wish I had some of these AI stamp images. Your colouring is brilliant and love the angled layout too. So glad you shared this with us at TIME OUT! Thanks so much, Shona! I love the AI stamps! They have so much personality and just that little bit different! I hope you can add some to your stash soon! ( I have a few cards using different AI stamps on my blog if you are interested)! Happy Easter!